If you haven’t heard of Corsicana, Texas, it’s high time you did. It’s the small-town Texas home of Collin Street Bakery. 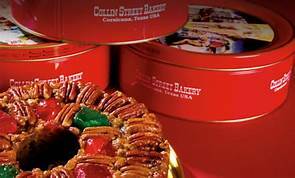 Since 1896, Collin Street Bakery has specialized in fruitcakes, Texan pecan cakes, southern pecan pies, and more that have quickly gained national notoriety. 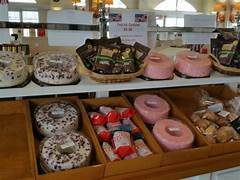 Now they offer a variety of cakes and desserts at their booming mail-order business. You’re going to take back everything bad you’ve ever said about fruitcakes: these are a game-changer! With a recipe going back over a hundred years - all the way to Germany, these cakes are not your average holiday fare. Customers rave that these cakes have become a much-enjoyed holiday tradition among their families spanning decades. 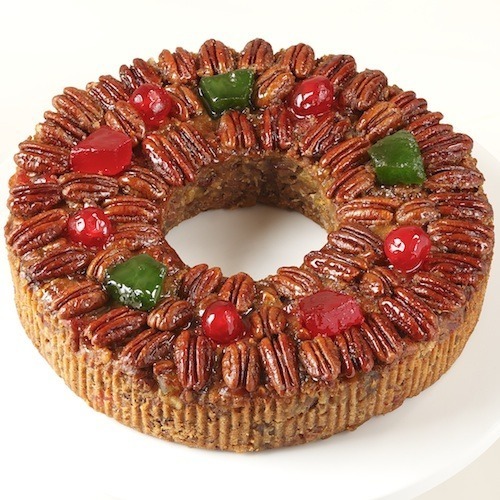 Each fruitcake is topped with candied fruits and a layer of fresh Texas pecans. Inside the cake, flavors from papaya, pineapple, golden raisins, and red cherries give this item a unique punch. You can even use the website to “slice it” and an image of a sliced version of their cakes will appear so you can take a look inside the cake. Each fruitcake comes in regular, medium, or large sizes. You can also opt for the seemingly donut-sized miniature order, or go even smaller with an order of petites, or even petites covered in chocolate. Any way you cut it, these cakes are going to wow your dinner guests and fill their appetites. Speaking of cutting it, did you know you can even order these Deluxe Fruitcakes pre-sliced? Not one to leave any customer experience stone unturned, the Collin Street Bakery also includes additional conveniences like coffee and gift boxes as options to add to your order. And each cake comes with its own commemorative tin to honor the occasion. Best of all, these cakes can last in your refrigerator for months and retain their freshness. You might know that the state fruit of Texas is the Texas Red Grapefruit, but did you know that the official state nut is the Native Pecan? Collin Street Bakery take Pecans from their very own town to use in their delightful Pecan recipes. 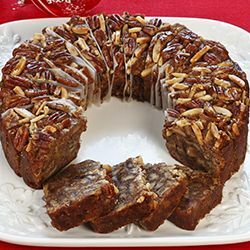 Pecan cakes are dense, sweet, cakes that are often combined with another fruit to create a rich flavor profile. The Collin Street Bakery Texan Pecan Cakes come in the following flavors: Apricot, Pineapple, Strawberry, and Texas Blonde. Collin Street Bakery sources their fresh Apricots from Australia to create this flavorful dessert and to ensure your winter holidays aren’t lacking in summer fruits. The Pineapple Pecan Cake includes tangy pineapple from Costa Rica. The delightfully red Strawberry Pecan Cake is a fruity addition to any dinner table. 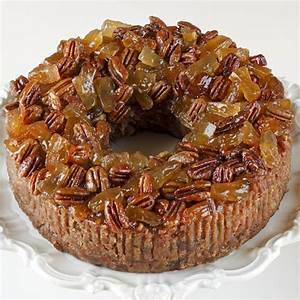 And the Texas Blonde Pecan Cake is the perfect blend of a fruitcake and a pecan cake, topped with local pecans and filled with papaya, pineapple, red cherries, and golden raisins. These wonderful cakes come in petite and miniature sizes in all of the above flavors. With these diverse options, you’re ready for cheesecake all year round! 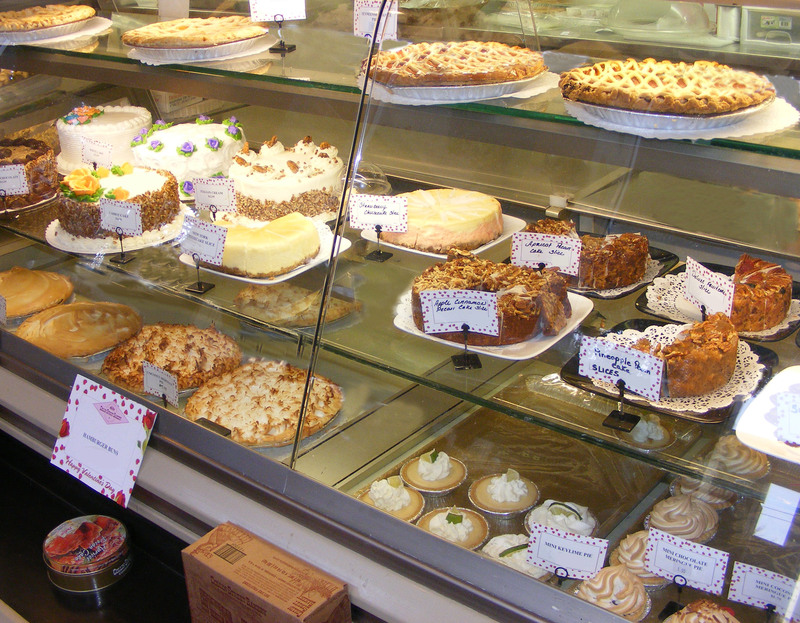 But be aware that these cheesecakes don’t have the months-long lifespan of the classic fruitcakes and pecan cakes. While those cakes last for months, these cakes last about 1 week in the refrigerator but much longer in the freezer. The Triple Chocolate Cake is just as decadent as it sounds. This moist chocolate pound cake comes with ready-to-drizzle chocolate icing for a truly lavish and customizable dessert experience. The Cinnamon Pecan Coffee Cake arrives with ready-to-go icing and covered in local pecans, making it a sweet start to your day. Just like the Triple Coffee Cake, they also let you customize the experience by not pre-glazing the cake, allowing you to drizzle as little or as much as you might want on your breakfast treat. And, famously, their White House Pumpkin Cake is a staple at 1600 Pennsylvania Avenue every holiday season. It’s filled with pumpkin spice and comes with a bevy of cream cheese icing. It’s even endorsed by a long-standing White House Chef, Roland Mesnier. A true Southern treat, the Deep Dish Pecan Pie is a delicacy for pecan lovers. With a caramel filling and a topping of local Texas pecans, this pie is dressed to impress. For all those chocolate lovers out there, this one’s for you. 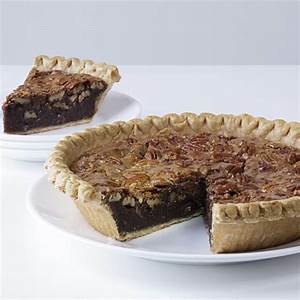 A buttery crust surrounds a dense chocolate fudge filling peppered with pecans throughout the pie and all over the top. 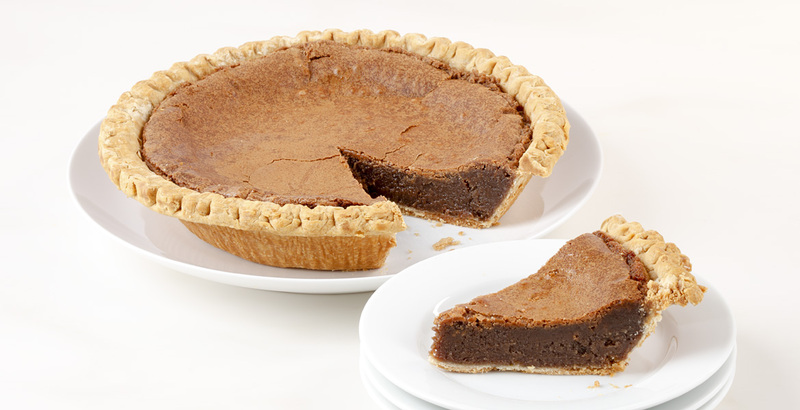 And for those of you who could take or leave even the best pecans, the Chocolate Fudge Pie is a lovely accent to any meal. Collin Street Bakery aimed for the perfect blend of a brownie and a pie and landed on their distinctive Chocolate Fudge Pie recipe. All of their pies are best enjoyed refrigerated within one week, unless frozen. 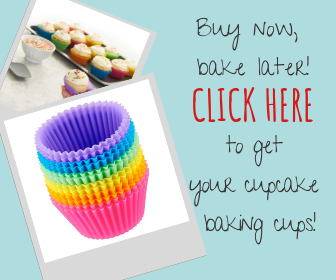 Unless you’re near their original location in Corsicana, Texas or stopping along their many shops along the Texas highway, just navigate to the Collin Street Bakery website to place your order. You can also call any one of their many locations to place your order for pickup if you’re in the Texas area. But if you’re an online shopper, be aware that they have different shipping policies depending on your order. Because they are practically non-perishable, shipping the Deluxe Fruitcakes is easy. They even ship them internationally but allow 2-6 weeks for your delicious cake(s) to arrive. The same thing goes for their distinctive Pecan Cakes. 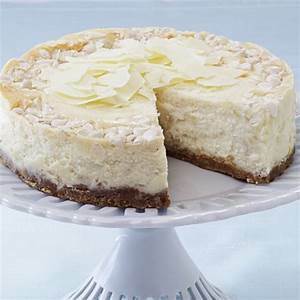 However, the Cheesecakes can only be shipped domestically in the 48 contiguous states (sorry Alaska & Hawaii) because they are highly perishable. And for the same reason, they do not mail to P.O. boxes– imagine making your monthly trek to your local P.O. box, only to find a soured cheesecake inside from weeks before. 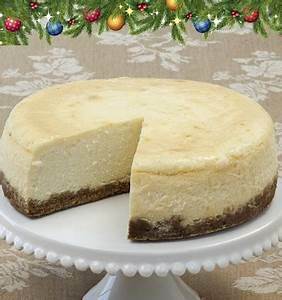 During the summer months, the bakery charges an additional $10 upcharge beyond their standard cheesecake shipping to maintain quality during transportation. Just like with their Cheesecakes, their Cakes and Pies are only available in the 48 contiguous states and cannot be shipped to a P.O. box. Once you visit their site, you’ll need to pick out your items and add them to your cart. Undecided on what to order? They have a nifty filtering feature that lets you see items that meet your criteria. Only looking for items under $30? There’s an option for that. What about cakes or pies with chocolate? There’s a filter for that too. There’re also suggestions for special occasions like Mother’s Day and Graduation. Once your cart is ready, you can click the “Checkout” button to begin submitting your order. After you fill out your personal information, you can select your shipping timeline. You have a choice of Christmas, At Once, Thanksgiving, or a Special Date (a date of your choosing). Once you complete your billing information, you’re done! Get ready for your cakes and/or pies to arrive. At Collin Street Bakery, they pride themselves on staying true to their roots with authentic recipes and a commitment to Texas and German traditions. If you want to jazz up your next holiday gathering, work event, or dinner party - these desserts are sure to be a success any way you slice it.